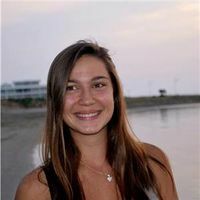 Charlotte Chaussat has been an internet of Future Worlds Center and worked as a member of Global Education Unit under the supervision of Kerstin Wittig. This internship was part of her third year of studies in Sciences Po Toulouse, France where she learnt social and political sciences. Former or current member of various associations in France, Charlotte has always been interested in the field of cooperation. As she thought of pursuing her studies with the master degree entitled "Economic Development and International Cooperation", an internship in Future Worlds Center NGO seemed the perfect option. She participated mainly in the project Map Your Meal, helping to organize the various events that took place (cinema evenings, festivals, conferences, workshops and trainings). In the framework of this project, she contributed in particular to set up the first edition in Cyprus of the French Film Festival Alimenterre, especially with the creation of English subtitles. Created in 2007, this annual festival is now being organized all over the world and aims to raise awareness about the deficiencies of our current food systems and proposes alternative solutions. She also contributed to the creation of modules for the Cyber Tours. The communication was also a big part of her work, she was in charge of creating a monthly newsletter and promoting the events on the social networks. During her internship, Charlotte participated to an Erasmus+ training in Czech Republic, "The Danger of a Single Story". Based on the title of the TED talk by Nigerian novelist Chimananda Adichie (2009), this training focused on providing tools and methodologies (storytelling, media analysis, Global Education and active citizenship concepts) to youth workers to help them introduce global issues and topics in their work. This page was last edited on 29 May 2018, at 04:53.